Leaders in real estate law, bankruptcy, and estate planning. When you are buying or selling real estate, closing the transaction is your ultimate goal. Getting there is a process, but even once you are ready to close, it is important to make sure every aspect of the closing is handled properly, from reviewing all contracts and financing agreements to writing title insurance and protecting your investment into the future. Here’s more information from our St. Petersburg real estate closing attorneys about what happens during the real estate closing. A real estate closing is the final execution of all of the agreements made between buyer and seller and buyer and lender for the purchase and financing of real estate. All documents are exchanged simultaneously along with the funds required to complete the transaction. The buyer pays the purchase price to the seller, usually with a combination of a down payment, personal funds, and the proceeds of a loan, and the seller provides clear title to the property along with a deed and other transfer documents. The buyer or the buyer’s lender provides a check for the amount owed toward the purchase price of the real estate. The seller signs the deed over to the buyer, officially transferring ownership. The seller will turn over the keys as well. The new deed will be registered to show the buyer as the new real estate owner. The seller will receive proceeds earned on the sale once any loan balances and closing costs have been paid off. Closings can take a surprisingly long time to complete if both sides are not prepared. All documents should be reviewed and ready to go—in other words, they just need to be signed—when the real estate closing takes place. There should not be any surprises, last minute additions, or eleventh hour revelations regarding the property or the transaction. The St. Petersburg real estate closing attorneys can make sure of that. A wide variety of fees and charges accumulate during the real estate financing process. Altogether, these fees are referred to as closing costs, which are also paid on closing day. In addition, many lenders require borrowers to have extra money in the bank beyond what is required to cover the purchase price and closing costs—this is called a cash reserve, and it can be a significant amount of money, so you need to know about it in advance. We’ll make sure you do. 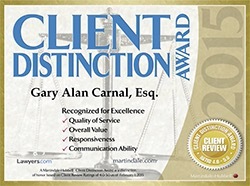 The St. Petersburg real estate closing attorneys at Carnal & Mansfield, P.A. can help you be fully prepared for your real estate closing. To learn more about our closing services, please contact one of our experienced real estate closing attorneys.